We’re back from NAB Show 2018. The conference was a success – for ABonAir and for those who came to see new broadcast technologies. 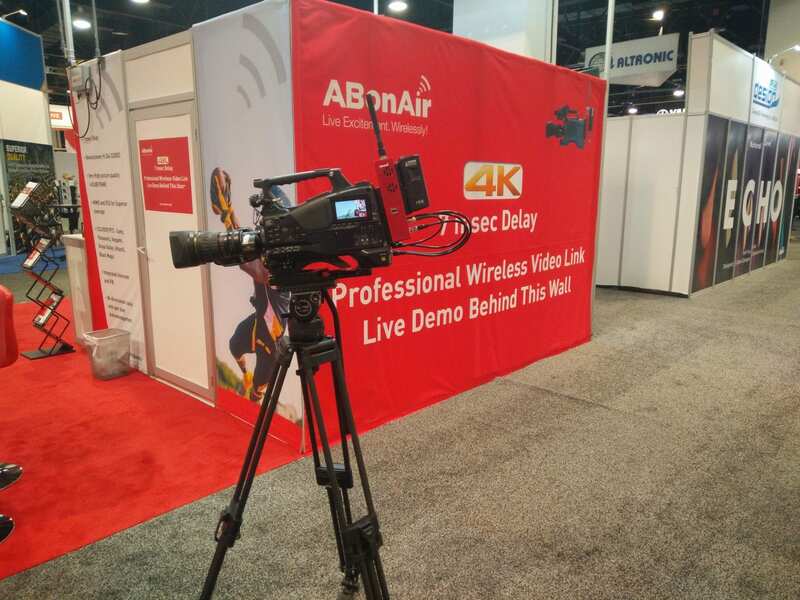 We launched our new 4K wireless broadcast solution – there’s nothing like 4K with a 7 msec sub frame delay. Our 5th generation HD wireless broadcast series is a popular choice for sports, news and live events broadcasters. It was a pleasure to meet so many of you – our current and future customers. If you visited our booth at NAB Show 2018 and are interested in a demo of our HD and 4K solutions, fill out the below form and we promise to get back to you. See you at NAB Show 2019!